TFM Tool 1.0.6 is a small application for windows computer which allows you to remove the Android FRP protection from Samsung and Motorola Smartphone and tablets. It allows you to reboot the device into the download mode, reboot into the recovery mode, reset the FRP protection, Check the device info in download mode, reboot the device to normal mode. It allows you to reset the PIN Lock or Face Lock, Reset the pattern lock, Hard Reset, Wiping the Cache Data, Reset the FRP. 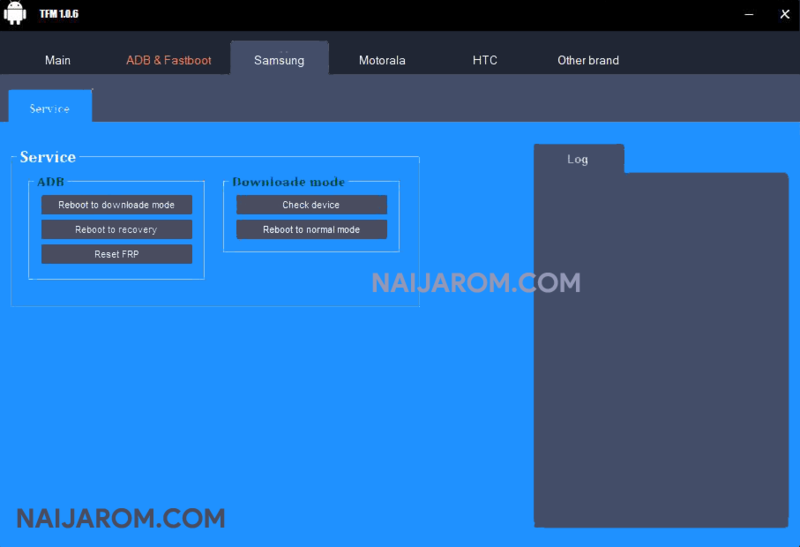 On the Samsung Devices, it allows you to boot the Samsung device into the Download mode, boot the device into the recovery mode, remove or reset the FRP protection from the Samsung device. It also comes with the drivers for all Android devices including for Mediatek devices, Spreadtrum Devices, Qualcomm devices, Samsung Devices, HTC devices, Sony Xperia devices, Motorola Devices. In order to use the TFM Tool properly, you need to install the Universal ADB Driver on your Computer. Once Driver is installed you can successfully connect your Android Device to the computer, and launch the TFM Tool on the computer. [*] Compatible: The above software runs smoothly on Windows XP, Windows Vista, Windows 7, Windows 8, Windows 8.1 and Windows 10 (32 bit and 64 bit). [*] Take a Backup: If you are going to try the above tool, then please take a backup of your Android Smartphone or Tablet as flashing any recovery or file may brick the device. [*] Other Tools: If you are searching for other useful tools then follow our Tools Section to download free GSM Tools. [*] Credits: TFM Tool 1.0.6 is created and distributed by TFM Team (developer). So, full credits goes to TFM Team (developer) for sharing the tool for free.